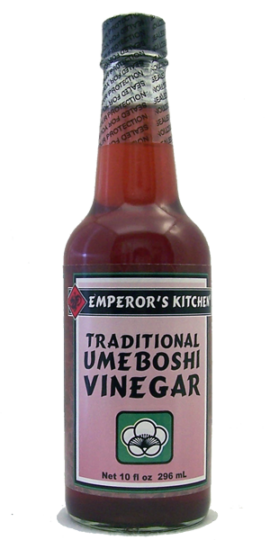 The unique fragrance and deliciously nutty flavor of Emperor’s Kitchen Organic Toasted Sesame Oil adds a new dimension to stir fries, salad dressings, marinades, sauces, and baked dishes. The labor-intensive traditional process of making our sesame oil results in a fresh toasted flavor and silky texture, with none of the harsh overtones of the chemical processing often used by commercial producers. Emperor’s Kitchen Organic Toasted Sesame oil not only complements grain, pasta, and vegetable dishes, but has health benefits as well. It is high in linoleic and oleic acids, two essential fatty acids which our bodies cannot produce, and which are necessary for normal growth and healthy blood, skin, and arteries. Rich in antioxidants, sesame oil is also an excellent scavenger of free radicals, which are known to cause degenerative diseases. INGREDIENTS: Organic toasted sesame seed oil.